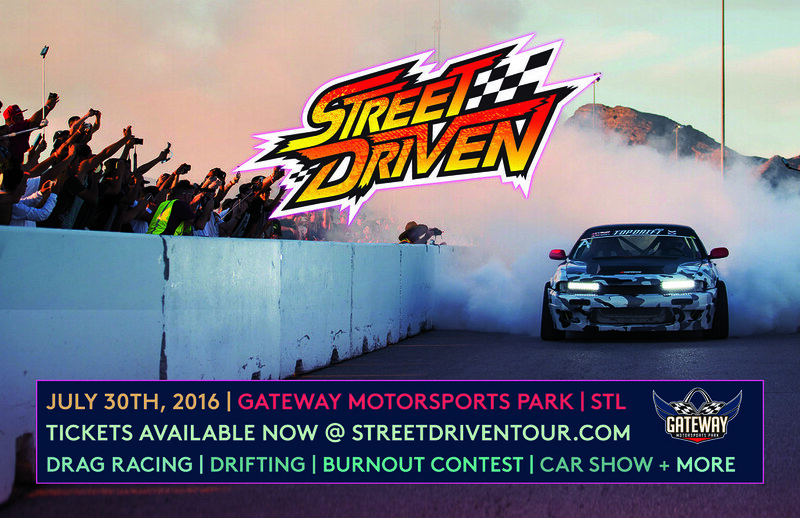 Street Driven Tour is coming to St. Louis on July 30th at Gateway Motorsports Park. The event features drag racing, drifting on two courses, a burnout contest, and a RivalHouse Hard Park-A-Thon. 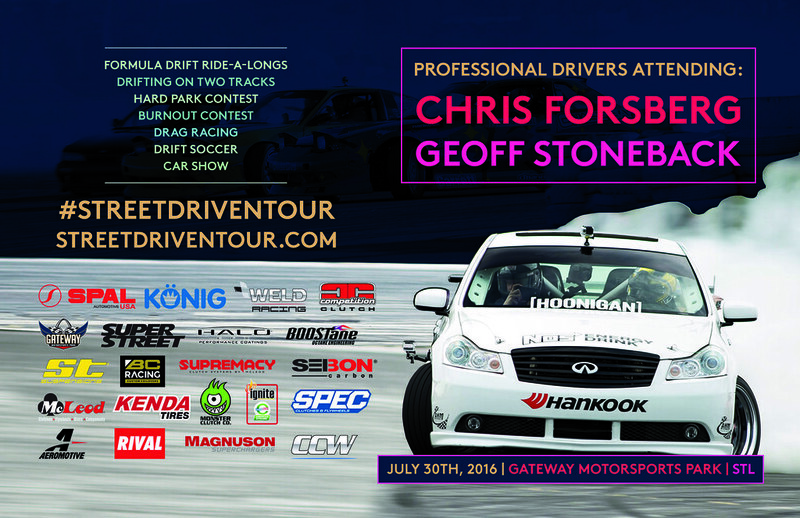 Formula Drift champion Chris Forsberg and Geoff Stoneback will be out giving ride-a-longs to fans on the road course as well. The event will run all day and into the night! We would love to see you guys out at the event.